Opened in 1889, Kabukiza is well-known as the biggest Kabuki theater in the country. It was rebuilt several times until the present, due to disasters including the Great Kanto Earthquake and World War II. 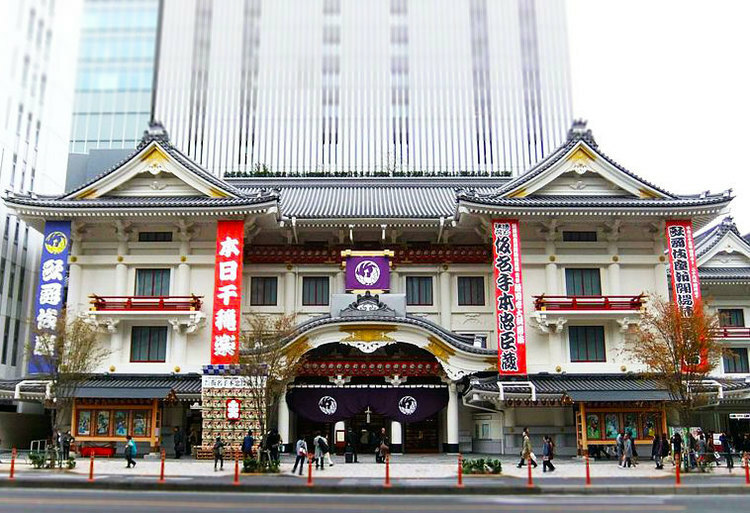 The current Kabukiza Building is a unique mix of old and new styles, which preserves old theater’s construction on the face, combined with tall office building at the back. 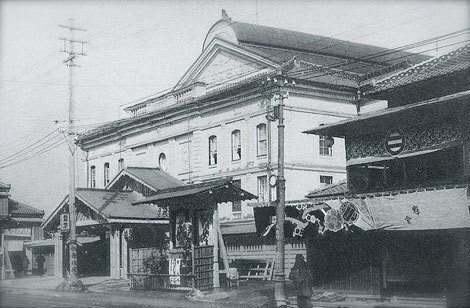 The original Kabukiza Theater was a wooden structure, built in 1889. It was reconstructed four times, due to disasters including the Great Kanto Earthquake and World War II. The Kabukiza was reconstructed and reopened most recently in April 2013,because of concern over the building’s ability to survive earthquakes. It closely resembles its predecessor, except for a skyscraper that now stands above it.